I have known and loved the work of Dave Hardy for a long time. 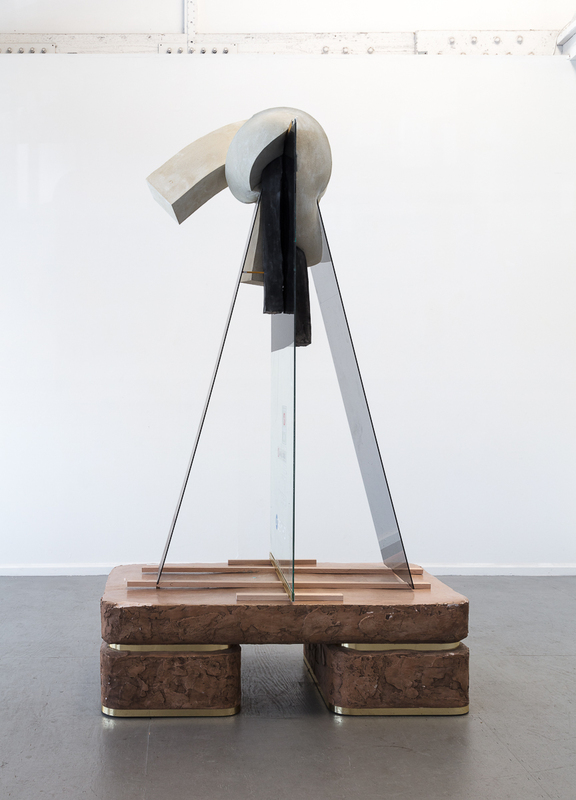 His juxtapositions of salvaged glass and pieces of fleshy, cement-infused foam defy gravity and subvert materiality, evincing a singular sculptural syntax. 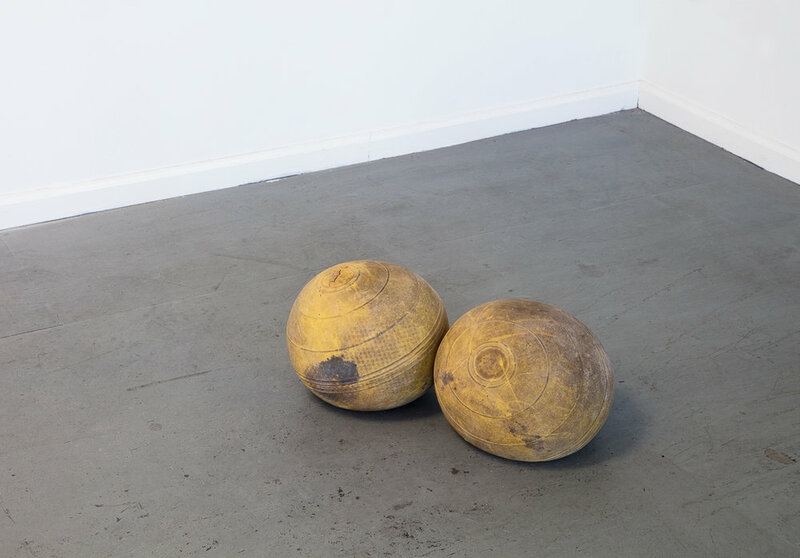 The work offers interstitial moments of levity as well, upcycling pretzels, souvenir models of the Tower of Pisa, and obscenely heavy old exercise balls. The show at Skibum MacArthur, Dave’s first solo show in Los Angeles, features his new work. 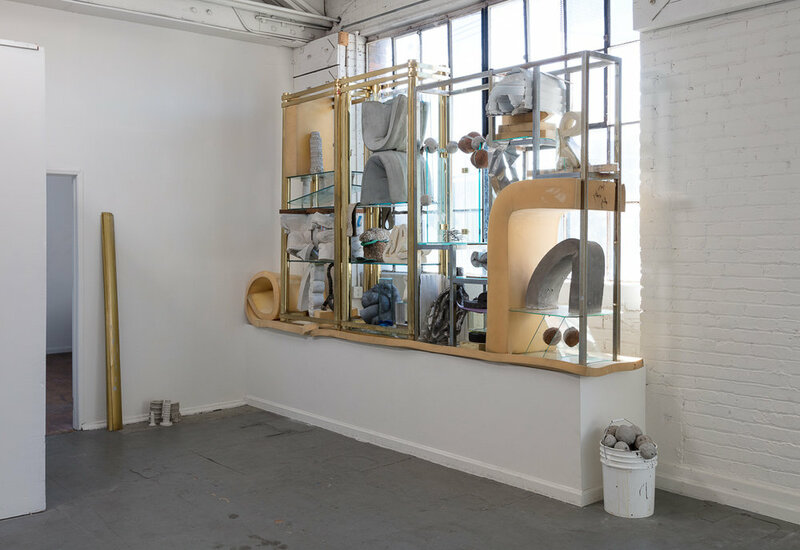 But in this show, the assemblages of found materials perhaps resonate in a new way, as meditations on detritus of capitalism teetering on the brink of collapse. 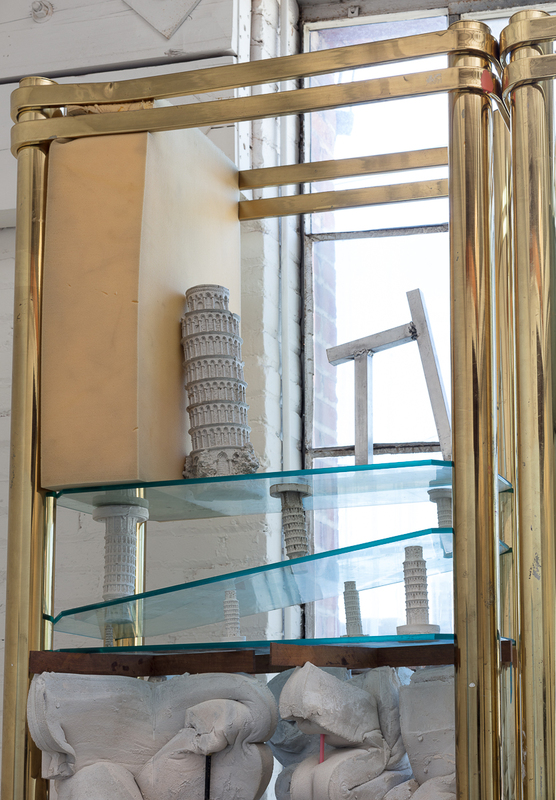 Entering the gallery, one will confront a totemic sculpture with tall pieces of glass precariously held together by a knot of foam. The structure holds up a glass door from a Chase Bank. As we face capitulation to divisive, bigoted rhetoric by those alienated and broken down by the forces of neoliberalism all over the world today, this piece stands as a timely monument to and indictment of human hubris. Dave’s sculptures are accompanied by a video piece by Abbey Williams, OMG (2016) in the project room. Intersplicing personal clips, blooper home videos, footage from old films, screen captures of texting, and video games, the piece evokes the frenetic cacophony of our communications and engagement with information, images in the digital age. The internet held promise of bringing us all closer, but we find ourselves more fractured and siloed in echo chambers built by algorithms. In the white noise of OMG’s often humorous, banal clips, our fears and anxiety seethe. Indeed, there is much fear and anxiety in the world, which are manifested in Dave’s and Abbey’s work; but there is poignancy and humanity too, a reminder that, in these exigent times, we must hold on firmly to our empathy. We began this week honoring Dr. Martin Luther King Jr, who famously said, “The arc of the moral history is long, but it bends towards justice.” In art and in life, we do our part to bend that arc a little harder, faster. Dave Hardy (b. 1969, Sharon, CT) earned a BA from Brown University, Providence, RI in 1992, a MFA from Yale University, New Haven, CT in 2004, and attended Skowhegan School of Painting and Sculpture, Skowhegan, ME in 2004. He has had solo shows at at Galerie Jeanroch Dard, Brussels, Belgium (2016), Wentrup gallery, Berlin, Germany (2014), Churner and Churner, New York, NY (2014), Regina Rex, Queens, NY (2013), and group shows at Tibor De Nagy, New York, NY (2016), Invisible Exports, New York, NY (2015), Bortolami, NY (2014), and Thierry Goldberg Gallery, New York, NY (2014). His work was also included in the Queens International Exhibition at the Queens Museum in New York (2016) and Greater New York 2005 at MoMA/PS1, New York. His awards include the Teaching Excellence Award from the Steinhardt School of Culture, Education, and Human Development, New York University, New York, NY (2013), Outstanding Faculty Award, presented by Steinhardt Undergraduate Student Government, New York University, New York, NY (2012), New York Foundation for the Arts Fellowship in Crafts/ Sculpture (2011), and Emerging Artist Fellowship, Socrates Sculpture Park, Queens, NY (2005). 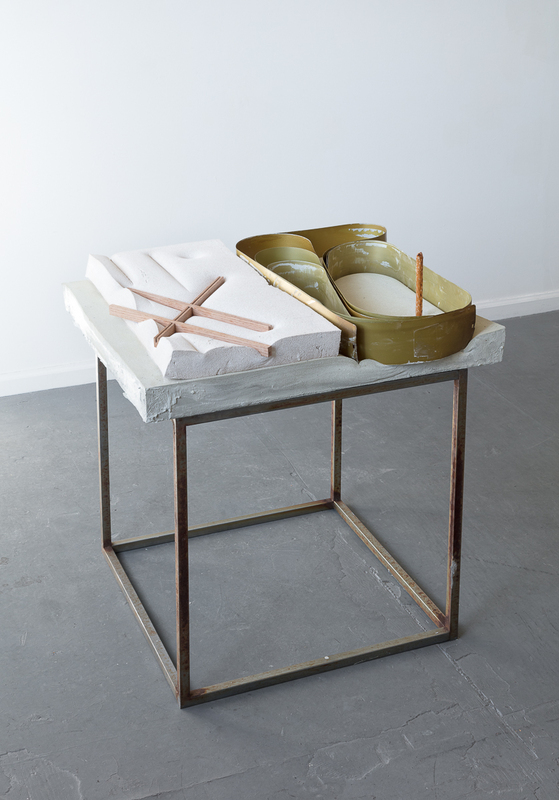 Abbey Williams received her BFA from The Cooper Union, her MFA from Bard College, and was a participant at The Skowhegan School of Painting and Sculpture in 2004. Her work has been widely exhibited at TATE Britain, London; National Gallery of Victoria, Melbourne; Reina Sofia Museum, Madrid; The Hammer Museum, Los Angeles; The Center for Contemporary Art, Tel Aviv; The Studio Museum of Harlem and was a part of the 2005 Greater New York exhibition at PS1/MoMA. Her videos have been included in several festivals including, The New York Underground Film Festival, The DC Underground Film Festival, The Werkleitz Festival in Halle, Germany; and the Rotterdam International Film Festival. Williams has had solo exhibitions in Minneapolis at Franklin Art Works and in New York at The Barbara Walters Gallery at Sarah Lawrence College, Bellwether Gallery and Foxy Production.